Samsung has thrown its weight entirely behind its dual-format Blu-ray Disc and HD DVD player and will de-emphasis its BD-only offerings, online reports suggest. However, the two-format machine, the BD-U5000, may have been delayed. Separate reports point to a December release in the US, with the European debut taking place early in 2008. Samsung launched the BD-U5000 at the IFA show in Berlin last month. Then, it said the player would arrive in Q4. In the US, it will, but the release schedule announced in Europe could reasonably be applied to the local roll-out too. 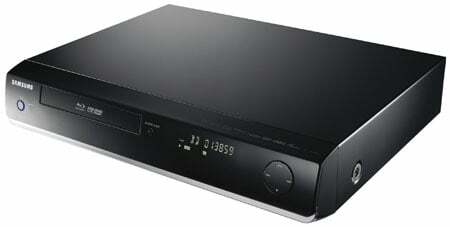 The South Korean giant also launched the BD-1400 and BD-2400, two BD-only players. It's now being claimed that the latter, scheduled to arrive in shops this month, will not now come to market. The difference between the two machines: the BD-2400 had upscaling technology to bring standard-definition pictures up to HD resolution, and 7.1-channel sound. The BD-1400 has 5.1-channel sound and no upscaling, but since most HDTVs do that anyway, that's less of a must-have feature. The BD-P1400 has gone on sale in Europe - in the UK it retails for around £330. Given Toshiba's drive to push down the price of its HD DVD players, dropping the high-end BD-P2400 - if indeed it has - is a smart move on Samsung's part, not least because of the big price differential with that other Blu-ray machine, Sony's PlayStation 3. But missing the key US Thanksgiving and European Christmas sales periods - again, if that is what's going to happen; Samsung hasn't confirmed the claim - may prove a mistake. Samsung clearly has its reasons - releasing at a better price point, getting better support for BD's interactivity features, sensing insufficiently demand for either HD format right now are all possibles.